Tonight is the meeting … Our guest speacher is… Topic: “The battle for Jerusalem, the coming of the Lord”, says the ads at the churches today. Another site was the subject; – “End of Time, The Coming of Times.” Do they really know what will happend in the future? It is clear that “the end time” theme is on the agenda … again, and I will join. Not to be the one that screams out to scare people to use my car and my mac when I have go to heavens, but to give you a picture of God’s plan. In previous post, I listed the 7 main points about what the Pentecostals and other evangelicals believe about the end times. You also got a glimpse into the history of how this theory came up. I wrote this to open up just for this topic about “end time”. There are some words and phrases that you might not have heard before, but I’ll do my best to be understandable. “Secret rapture” is was explained in the previous post. A different and more professional word for this is dispensastionalism. I have fresh in mind a little discussion I had with a couple of my dear brothers and sisters in the Lord, where we discus Matthew 24 and the timeframe. To misunderstand the timeframe is actually one of the main problems that dispentionalists has, and the time must be understood properly to understand the prophecies. So let’s look at Matthew 24 and see what time frame Jesus is talking about there. 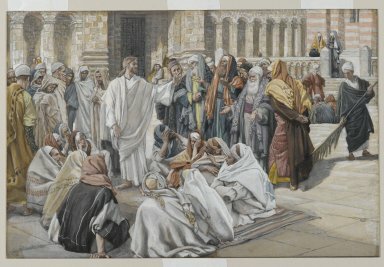 The frame of Matthew 24 starts actually in Matthew 23 where Jesus rebukes the Pharisees and the scribes hard (Mat.23: 2ff) and so he urged them to “Fill ye up then the measure of your fathers”, their fathers who killed the prophets (23:31-32). He tackle them hard and say frankly that they are vipers offspring who will pursue and kill some of his disciples too (23:33-34). They was not any better than their ancestors and did the same. That’s why they filled up their fathers measures. This is important to grasp, this is why the God’s judgement come upon Jerusalem. And now comes the part that opens up and put the time frame of his prophecy, “Verily I say unto you, all these things shall come upon this generation” (23:36). It is not yours or mine family, he think about here, but the generation that lived during his time. His opening was to point out that what He now is about to tell will come upon the family he had recently rebuked. Jesus complains over Jerusalem, (23:37-39) and to the disciples He says that there “should not be left here one stone upon another” about its temple (24:2). The disciples was surprising of course and lead them to ask Jesus: “When will this happen?” (24:3). Now we can jump to Mat. 24:34 and take the other verses later in another blog entry. In 24:34 it says: “Verily I say unto you, this generation shall not pass away until all these things happening.” Here he concludes by specifying the timeframe He talks about, the same as he opened with in 23:36. He emphasizes what He had now said, to be of the family he had rebuked. We can not allow to push this forward in time to our own generation. Dispentionalism connect 24:34 with 24:32-33, but it is too narrow and it has no other evidence. No matter how hard you might find the verses in between is, He says clearly that “all these things” will happen before “this generation” goes away. When it comes to His second coming, “that day”, he is just as clear if not clearer: “But that day or hour no one knows, not even the angels in heaven, but My Father” (24:36). Let me give you some more references at the end. The coming tribulation (24:21 cf. Rev.1: 9) should come upon this generation (23:36, 24:34, cf 1.Tess.2:16). This (tribulation) will come with a visible warning, signs (24:4-8) Then the dispensationalist believe it’s now just around the corner, His second coming, that is seen by Jesus as a distant day and will not be seen with signs, for no man can know (24:36). Note also Paul 1.Tess.2 :14-16, he knew very well who killed the prophets, who filled up their sins measures and who the verdict would come over. There is not the sin in this days who to be filled up, as dispentionalism believe. I can go into each verse but I’m afraid it is too much for one blog post. It’s possible that I will look at it when I come to the difficult book of Revelation, for it’s where it happens, what Jesus told his disciples on the Mount of Olives.